The Professional Convention Management Association (PCMA) is the definitive authority in education, business networking and community engagement for leaders in the global meetings, convention and business events industry. With more than 6,500 members and 50,000 customers PCMA drives innovation through risk taking, research and data-driven decision making.Its aim is to deliver superior and innovative education and promote the value of professional convention management. On Site Malta is the Malta member for PCMA. Founded in 1973, the Society for Incentive Travel Excellence (SITE) is comprised of 2,000 members and 29 local chapters. Members (such as On Site Malta) are incentive travel professionals who know from experience that incentive travel works. It works to reward, retain and motivate employees. The SITE global member community, which represents over 90 countries is on a mission to strengthen and inspire this extraordinary industry. On Site Malta is the exclusive Malta member of Euromic. 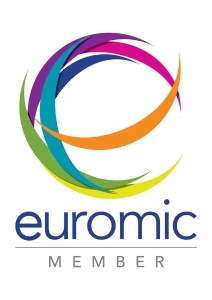 For more than 40 years, euromic – events & destination management partnership, has been a non-commercial association, created to market and promote its members to the meetings, conferences and incentive travel industry worldwide. Euromic provides solutions to support successful meetings, incentives, conventions and events in 45 destinations across the globe. Founded by and managed by experts in the hospitality, tourism, MICE and leisure fields, the DMCD is the Destination Management Company Directorate in Malta which is supported by the Malta Tourism Authority (MTA). EVCOM is the official voice of the live event and visual communication industry in the UK. Through training, networking, lobbying and awards EVCOM champion the power and value of communication. Created from two highly-successful associations – eventia representing the live event world, and IVCA representing the visual communication sector; EVCOM is comprised of a wide variety of leading professionals, agencies, freelancers, destinations, production companies and suppliers – all working at the highest levels throughout the events and visual communication sector. EVCOM has additionally gained 40+ new affiliate members through a formal partnership with events and destination management association Euromic.